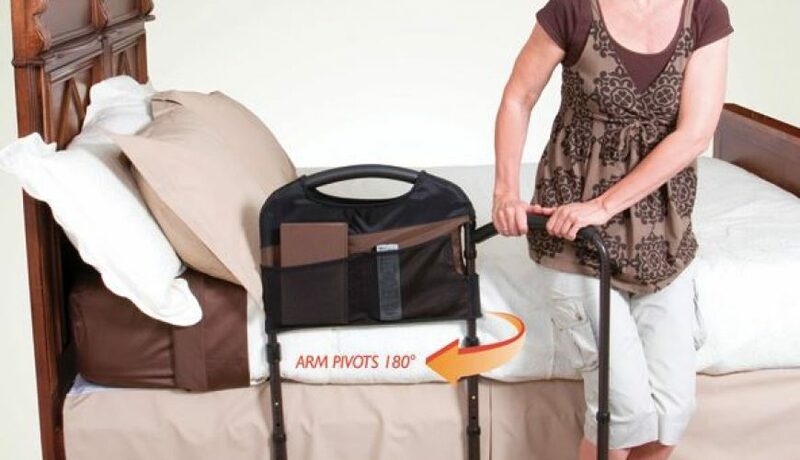 Pivots outward to provide improved walking stability. 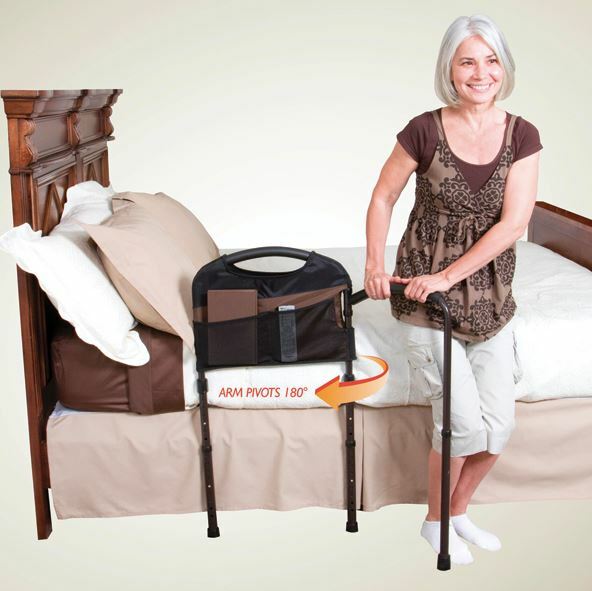 Arm swings outward 48cm away from bed to provide support for standing and walking. 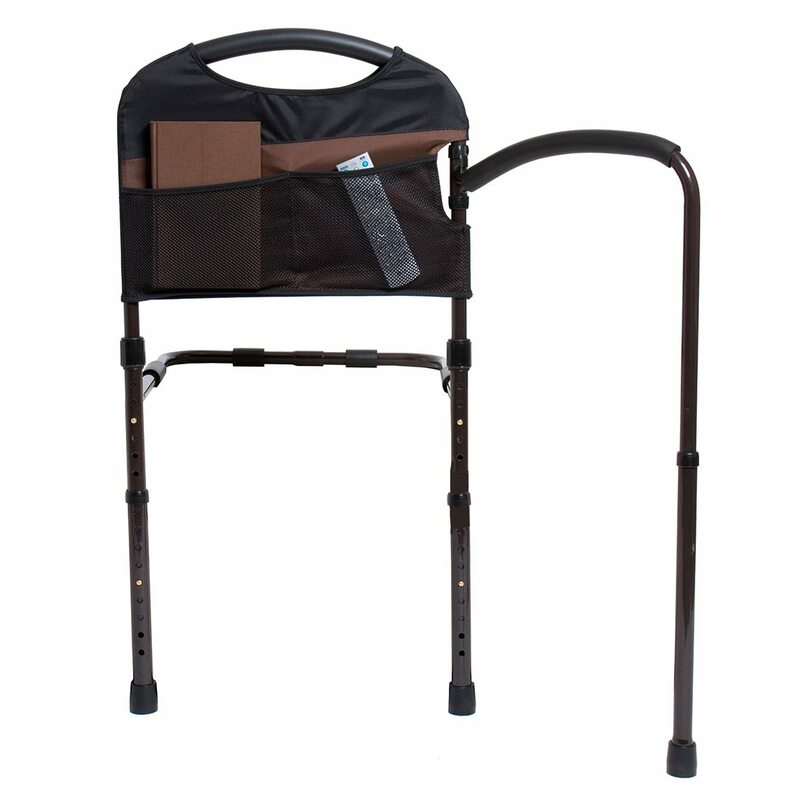 Extendable legs provide added stability when standing up. Made of steel frame with durable powder coat finish, features ergonomic cushion handle for added comfort while transferring out of bed. 4-pocket organizer provides storage space for handy items. Anti-slip grip secures rail in-between mattress and bed frame. Horizontal metal support structure measures 51cm deep and slides between mattresses accommodating any home or hospital bed. 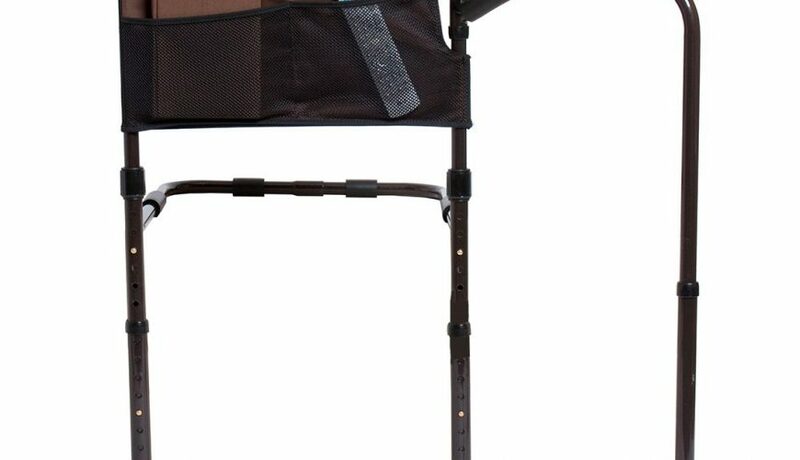 Height adjusts from floor to top of handle 79 to 112cm and mattress base to top of handle 45 to 56cm. Installs in seconds with no tools required.